In order to continue to establish and maintain DK-Lok’s position as an industry leader for providing the highest quality products across ever demanding industry applications, DK-Lok operates with an eternal continuous improvement ideology. DK-LOK® products are developed, manufactured and tested to meet and exceed the requirements of various industry applications around the globe. Clients rely on DK-LOK® for extensive experience and technical knowledge to continuously push the envelope for safety and higher levels of efficiency. For this reason, DK-Lok conducted a complete “intermix” test between DK-LOK® and Swagelok® products against the standard battery of tests in ASTM F-1387. 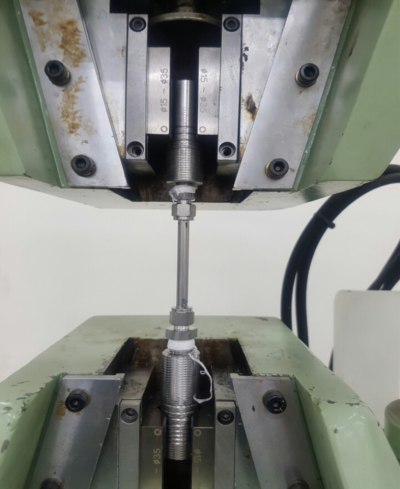 The purpose of the test procedure was to establish that any intermixed combination of DK-LOK® and Swagelok® individual components will provide leak-free performance. Take a look at the performance results and you can confirm that DK-LOK® Tube Fittings are interchangeable with Swagelok® in threads, make-up distance, bore, sealing integrity, surface finish, design and pressure ratings. 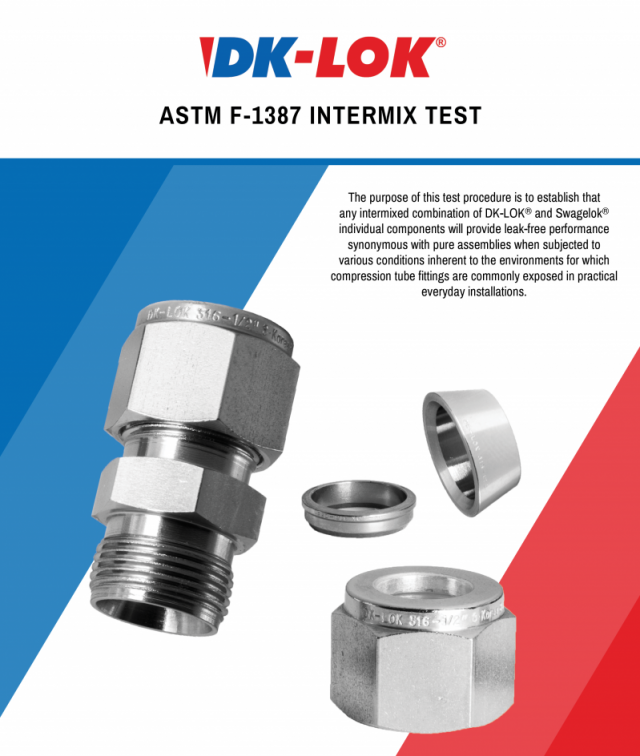 We offer this intermix guarantee publicly to the marketplace based upon TUV Rhineland witnessing of intermix test results between DK-LOK® and Swagelok® components in accordance with ASTM F1387-99(2005). Click HERE to view the test results/performance report.